This is a square Garland Stoves and Ranges porcelain sign. This particular Garland Stoves and Ranges sign is blue and white against a yellow background. 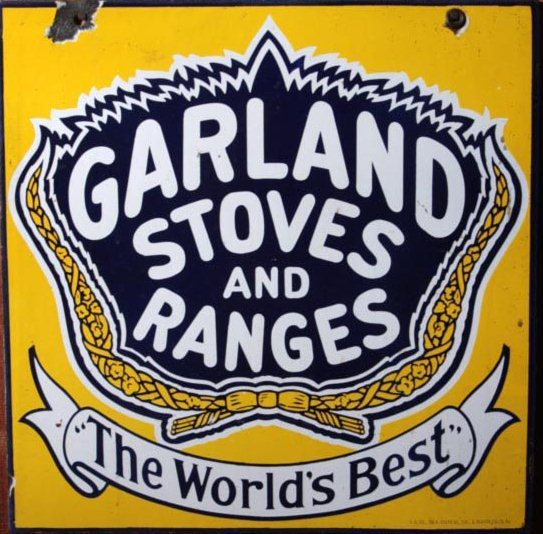 It reads, “Garland Stoves and Ranges, The World’s Best” and features a white banner at the bottom.